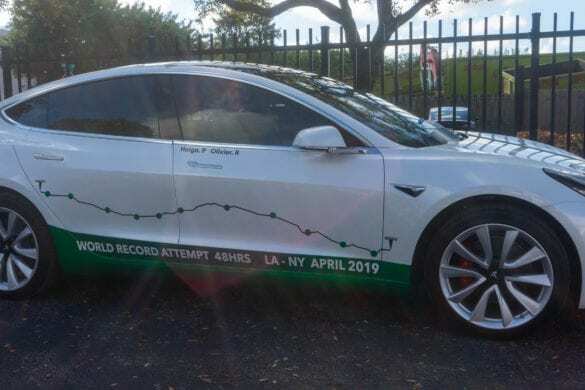 Tesla’s customer base and fans have constantly been ridiculed for their extreme fandom. Many have gone as far to say that Tesla has a cult-like following. Well we went to one of these claimed Tesla “cult meeting” and this is what we’ve learned. Overall, we feel like we have remained unbiased as possible when in relation to Tesla and others. 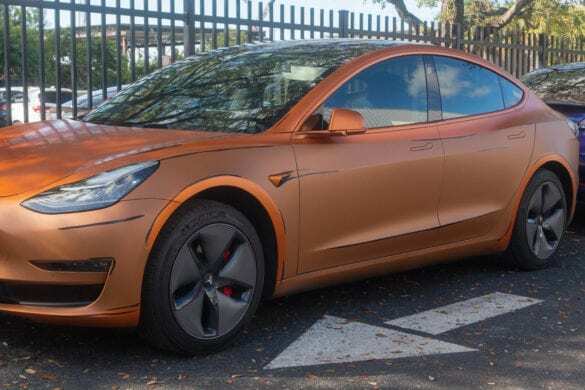 We have reported our fair share of positive Tesla news but do not ignore the negatives. We do not believe in pushing a positive or negative narrative in news and instead try our best to just report the facts. We showed up to this Tesla cult meeting with that same open-mindedness. 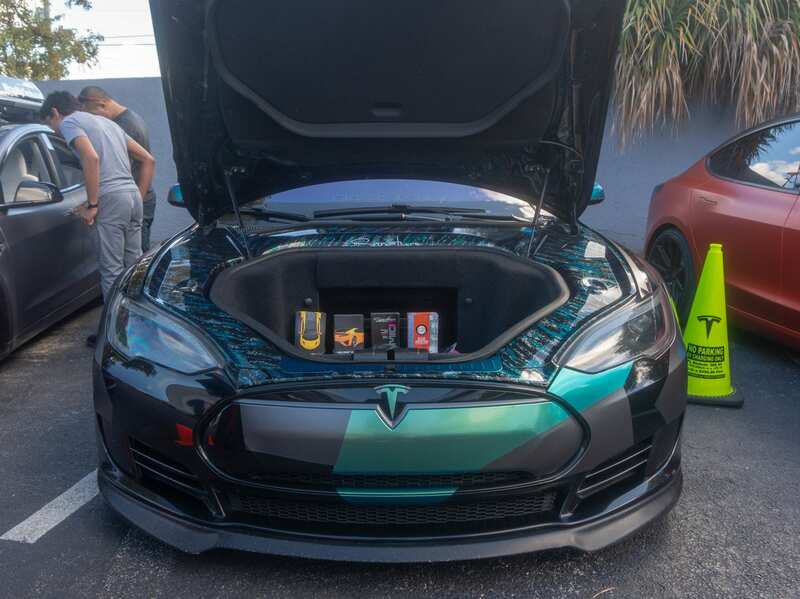 The annual event was held by EVANNEX, the leading supplier in aftermarket Tesla accessories, for the Tesla Owners Florida club. 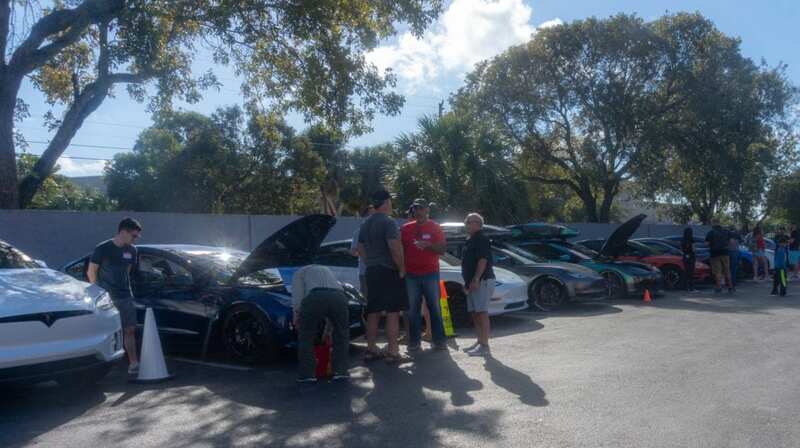 The free cars & coffee event was opened to the public with almost 200 registrations. 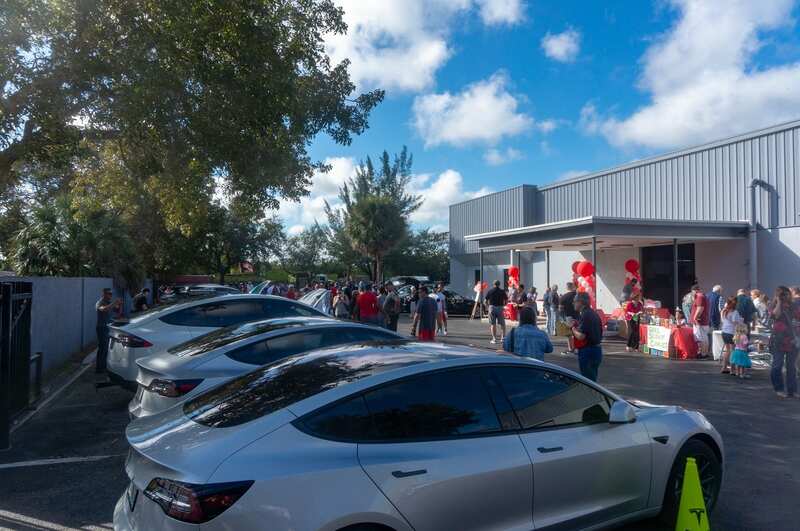 Tesla Owners Florida or Florida Tesla Enthusiasts is a non profit organization and part of the Tesla Owners Club program offered by Tesla. 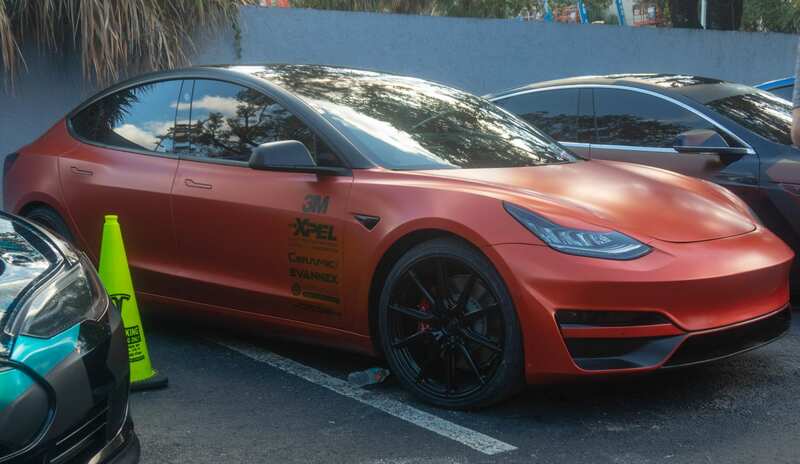 It is independently run but recognized by Tesla as an official club. It is open to both owners and fans. Feel free to register and maybe we’ll see you at the next event. If you don’t live in Florida, check out another official club in your area. You’d imagine a majority of attendees would be fans rather than owners, but you’d be wrong. Sitting there we counted roughly 77 Teslas. 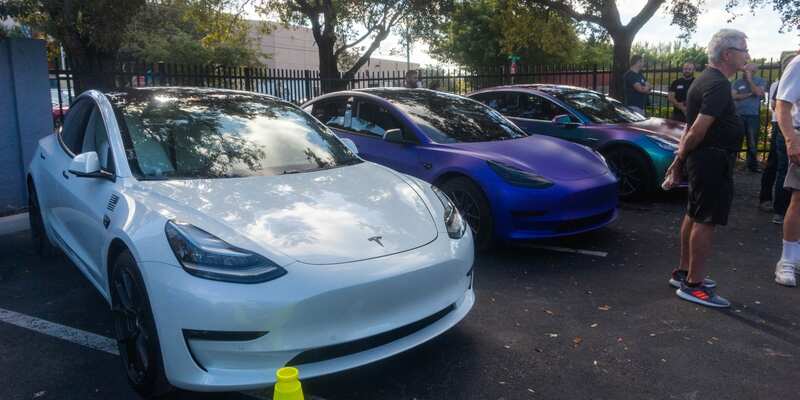 60 Model 3s, 13 Model Ss, and 4 Model Xs. Thanks to video and count by Teslatino a bit later on in the day, we can see it was actually over 100 Tesla’s parked. Many more came and left throughout the day. It sure was a site to see. I could only imagine the lines at the nearby Supercharger. As you can see, there was an overwhelming amount of Model 3s that came out that day. 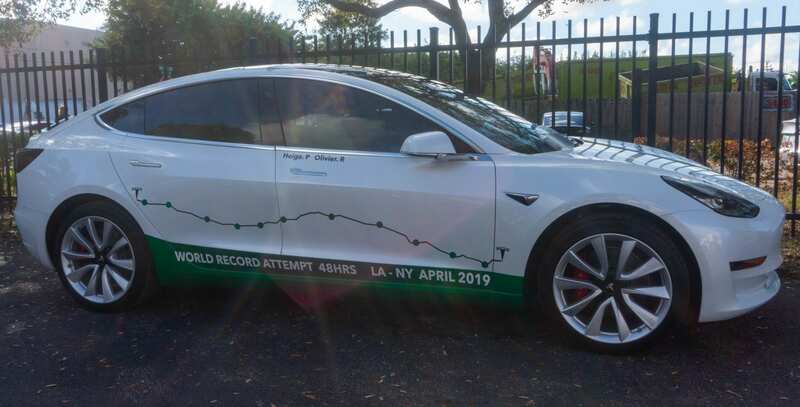 What was only a rare sight less than a year ago, now makes up the majority of Tesla ownership in South Florida. 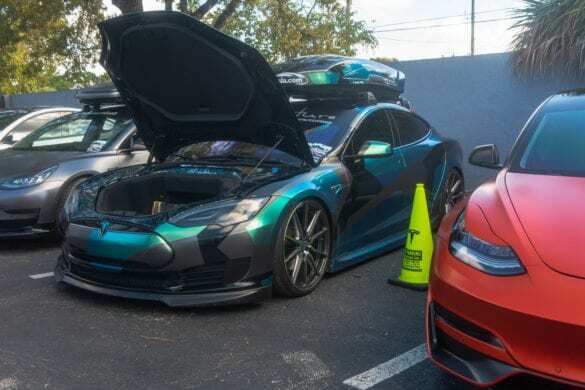 While we were expecting to see at least a few EVs from other automakers, there were none to be found, however there were a few ICE cars at the event, possibly friends/family of Tesla owners, or just people who wanted to check out some Teslas. There were a few guest appearances from the Tesla influencer community. Trevor Page, founder of the Model 3 Owners Club forum, came all the way down from Toronto, Canada. Eric Camacho & Ian Pavelko from the Model 3 Owners Club Podcast, Michael Bodner from the Teslatunity YouTube channel, and Rafael Santoni from the TesLatino YouTube channel all showed up. From the outside in, many would see this as a sales convention rather than a meetup. 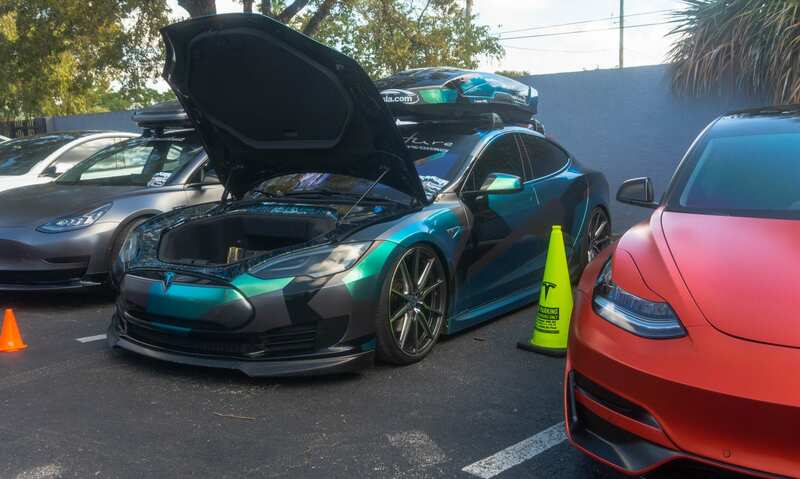 EVANNEX had products on display for sale and Signature Custom Wraps brought multiple decked-out Teslas and made a few appointments. In reality, it was mostly a networking event and chance to see internet faces in real life. When you think Tesla owners and fanatics, you probably imagine millennial hipsters and fedoras. Well I had to put my fedora away being one of the youngest at this event. It was an ordinary crowd with people generally intrigued with electric cars and sustainability. The Tesla fans were just that, fans. Curious about the cars and planning their future purchases. It was nothing out of the norm for a cars & coffee event. There was little to no talk about Tesla’s ambitious projections, goals, or future vehicles. Instead, they were focused on the now. 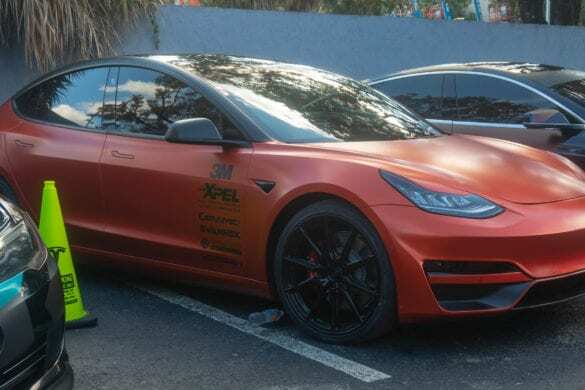 A few skeptics might have been converted that day and although the Tesla referral program is finally over, I’m positive a few electric cars were sold that day. 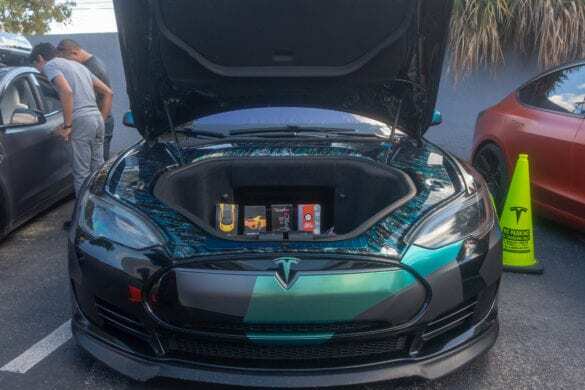 In terms of refreshments it was the standard fare of coffee and doughnuts from Dunkin Donuts which is a modern staple of cars & coffee nationwide. Along with that there was a smart girl scout that was selling girl scout cookies and probably made a pretty penny that day. Additionally we received a goodie bag from EVANNEX which included a licence plate frame, accessories catalog, and a coupon in the form of ‘Elon Bucks’. Apart from all the Tesla clothing and lack of revving engines, this was just like any another car meetup. 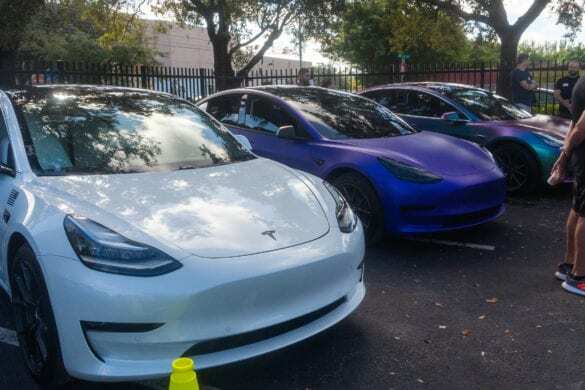 Tesla has a large and strong following but if there truly is this so called “Tesla Cult”, they didn’t show up to this Tesla meetup. 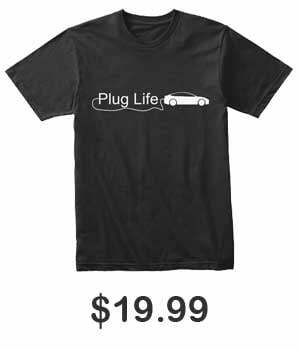 The Tesla culture and fan base is like any other automotive group. Fans and owners genuinely interested in the company and products. The event was mostly for networking and building relationships within the community. All in all, we might just show up to the next one. For those that want to see more of the event, check out EVANNEX’s recap over here. One thing I would add is that you don’t really need to imagine the lines at the Superchargers. I bet there was nothing out of the ordinary with most Superchargers being available as usual. Most Teslas there were local and we almost all charge at home. Last time I charged was two nights before the event. I just plugged in when I got back home.